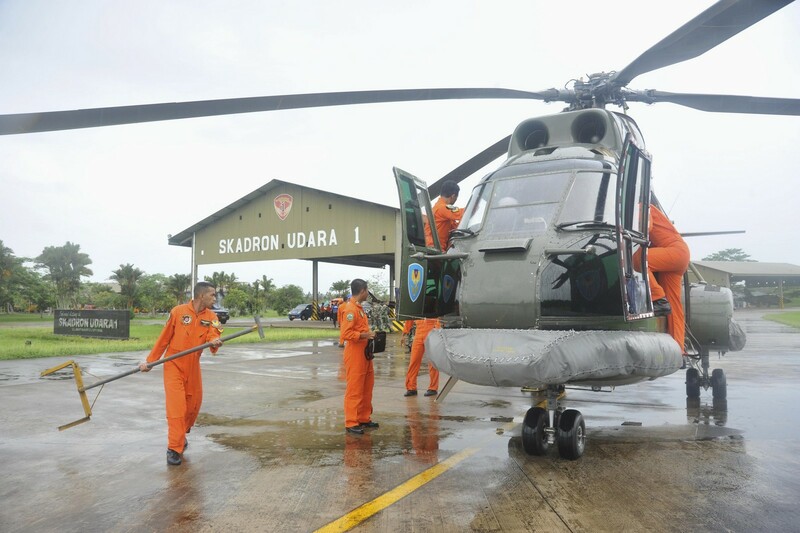 A search-and-rescue squad from the Indonesian Air Force preparing to depart on a Puma helicopter on a mission to locate the missing plane, from a base in Kubu Raya, West Kalimantan, yesterday. 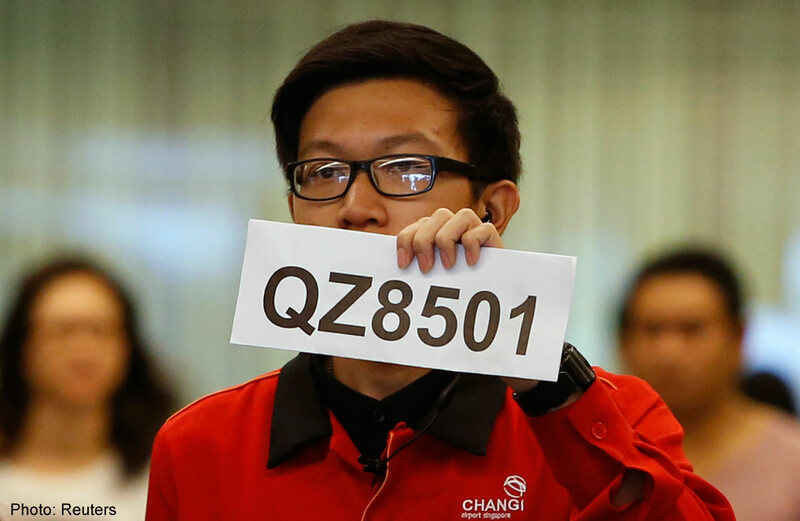 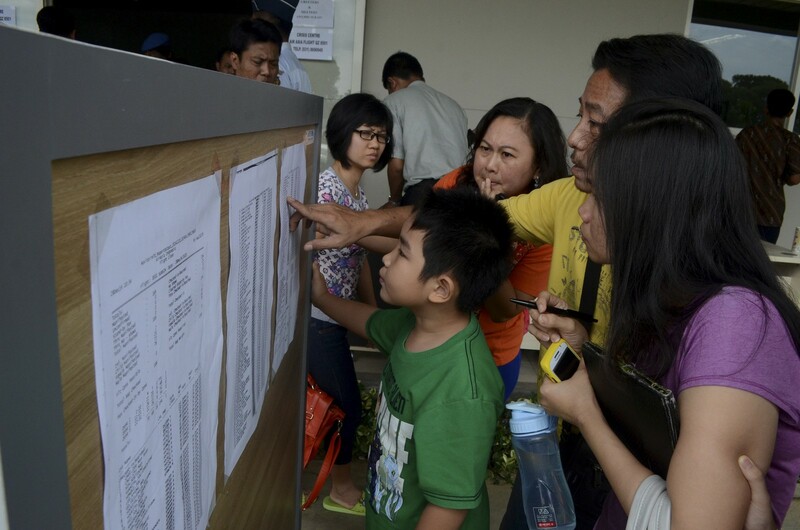 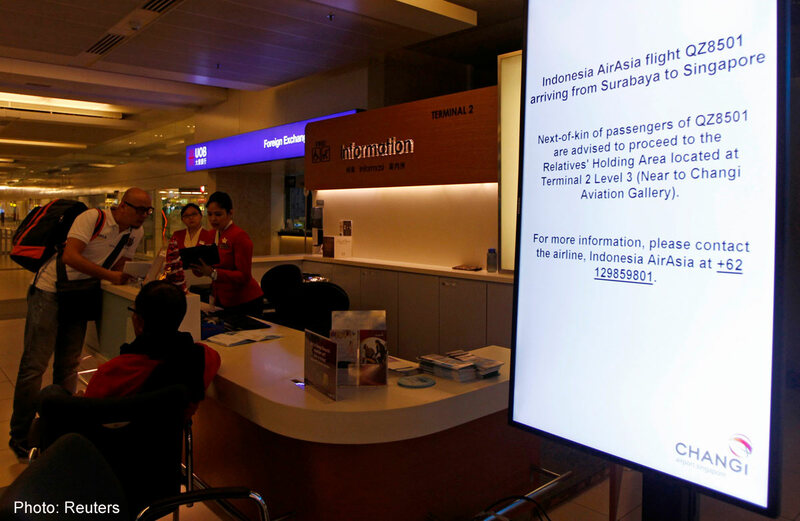 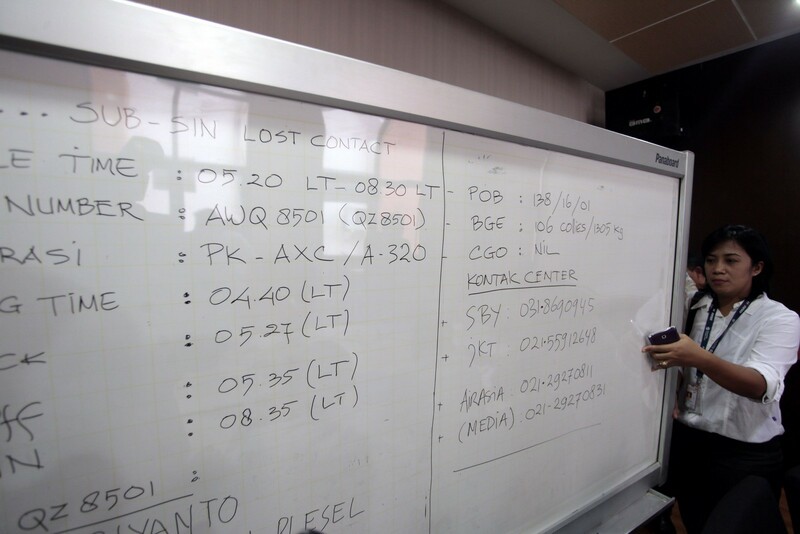 Singapore has joined the search for the missing Indonesia AirAsia QZ8501 flight, setting aside two C-130 military transport planes and ships for search-and-locate efforts. 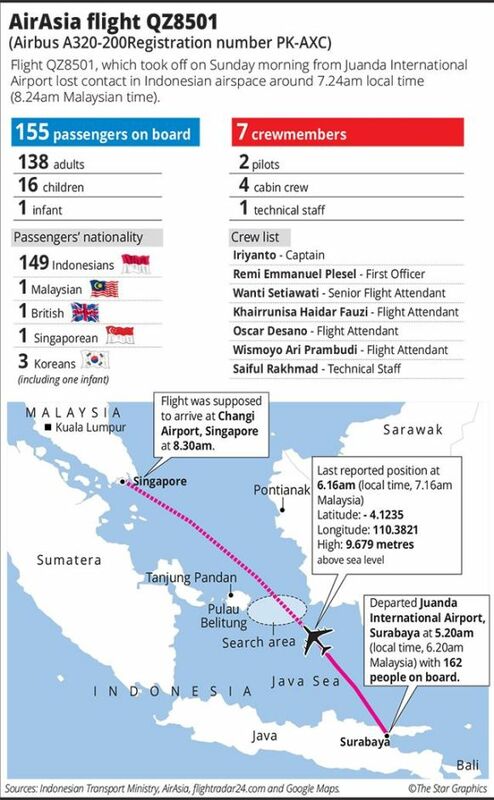 One C-130 search mission was launched yesterday afternoon and another was scheduled to start this morning, even as Prime Minister Lee Hsien Loong and other Singapore ministers reached out to their Indonesian counterparts. 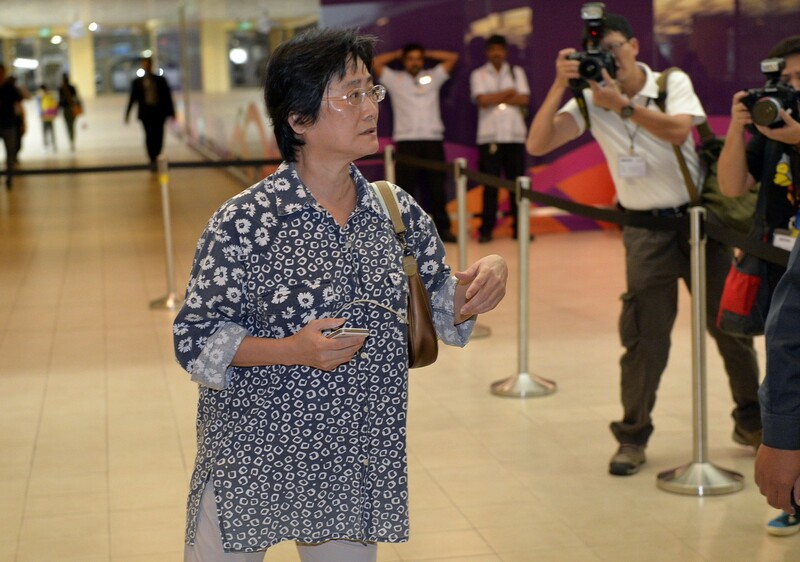 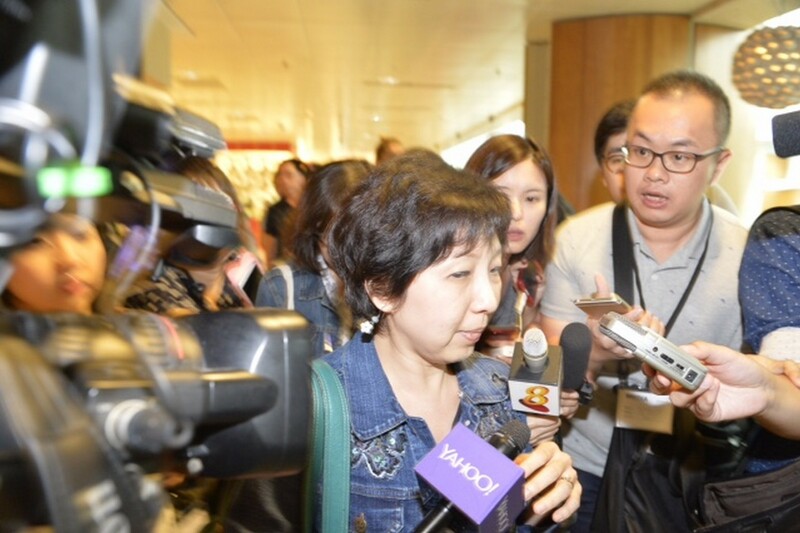 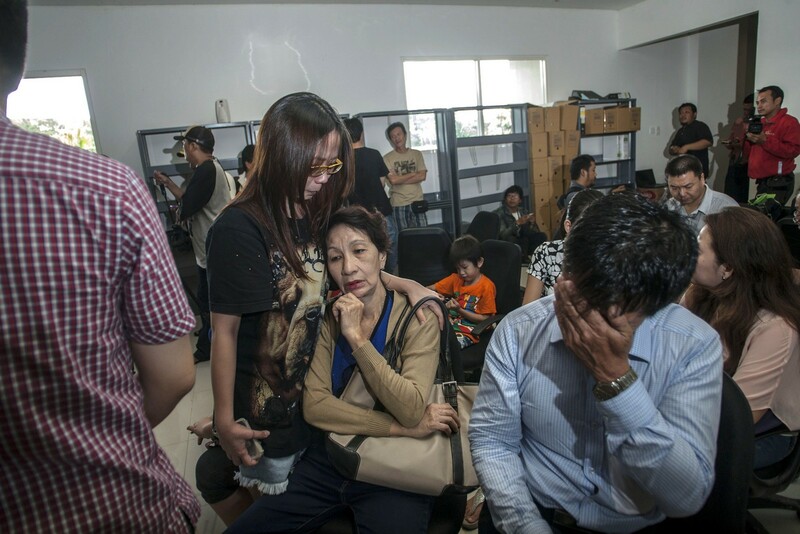 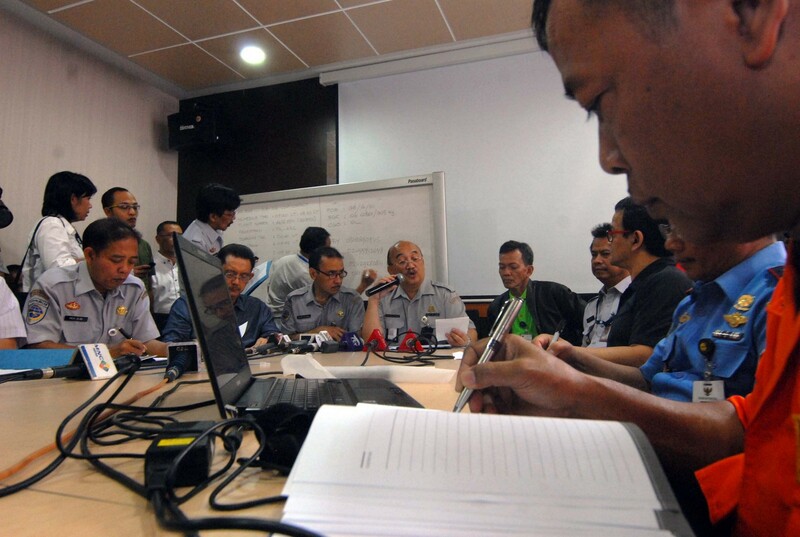 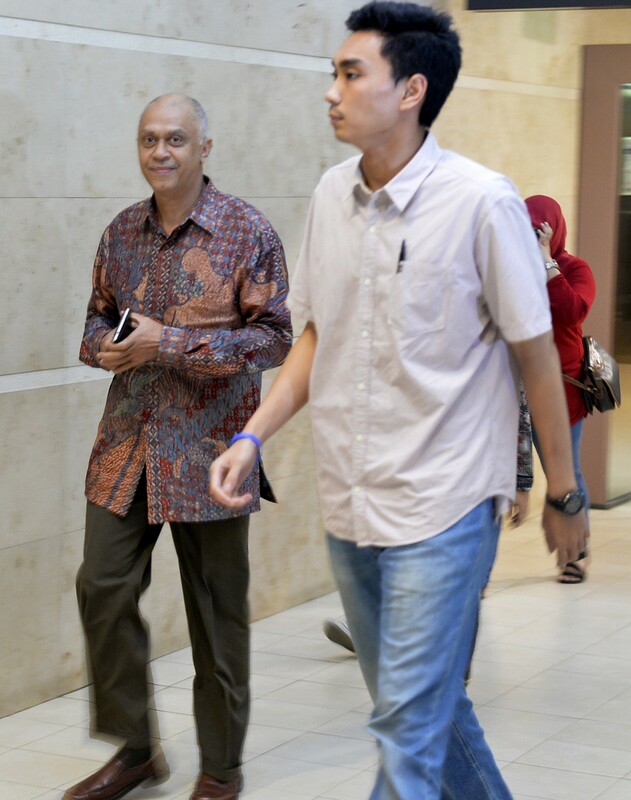 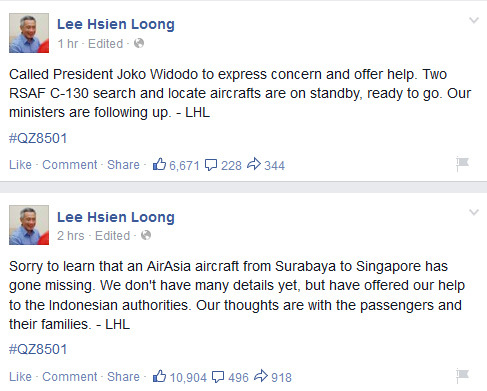 Mr Lee said yesterday that he had called Indonesian President Joko Widodo to express concern and offer help. 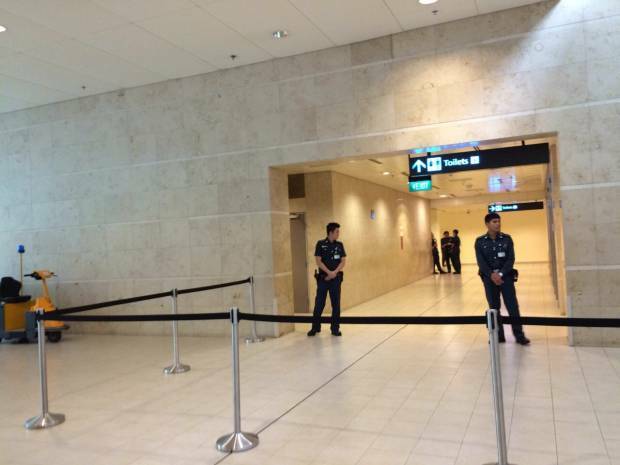 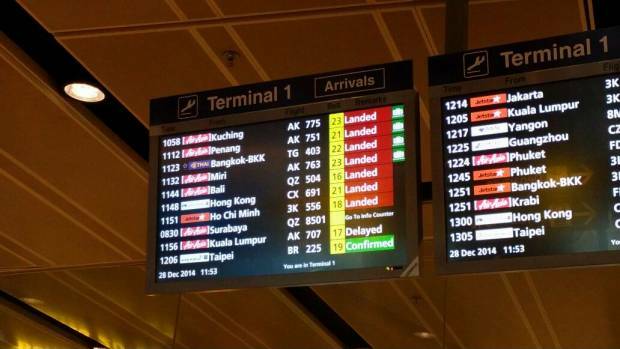 "Our thoughts are with the passengers and their families," Mr Lee wrote in a Facebook post. 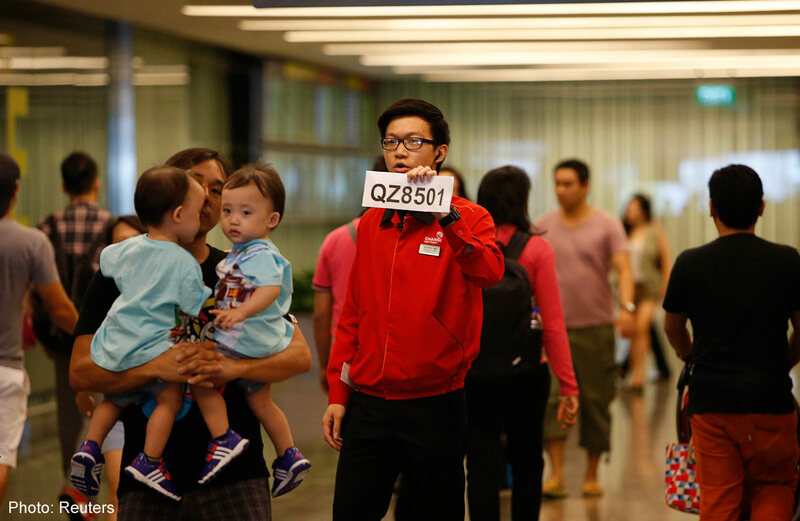 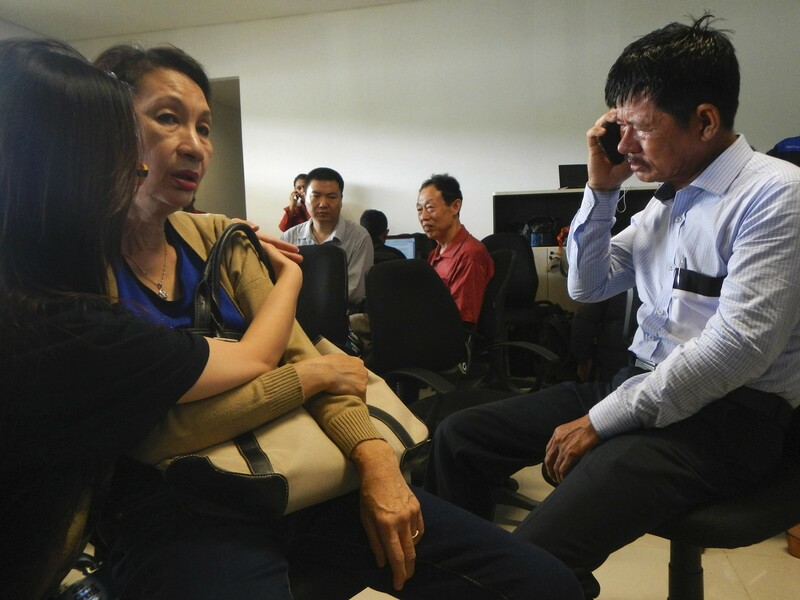 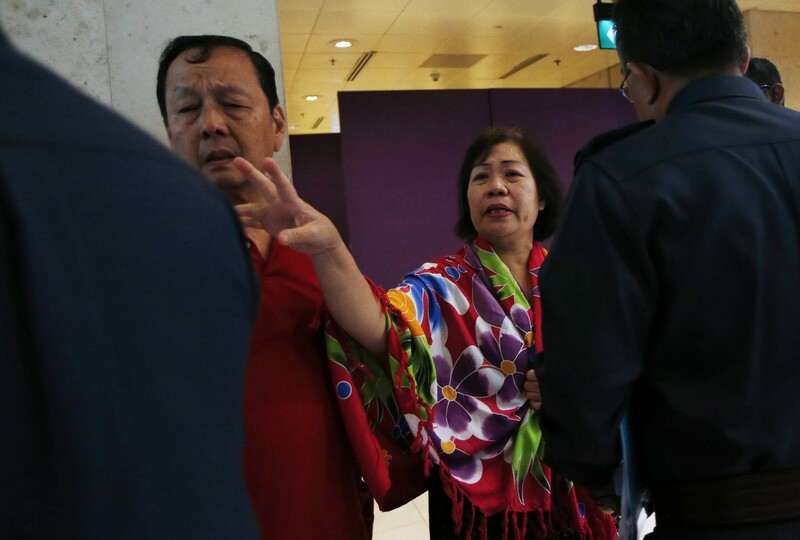 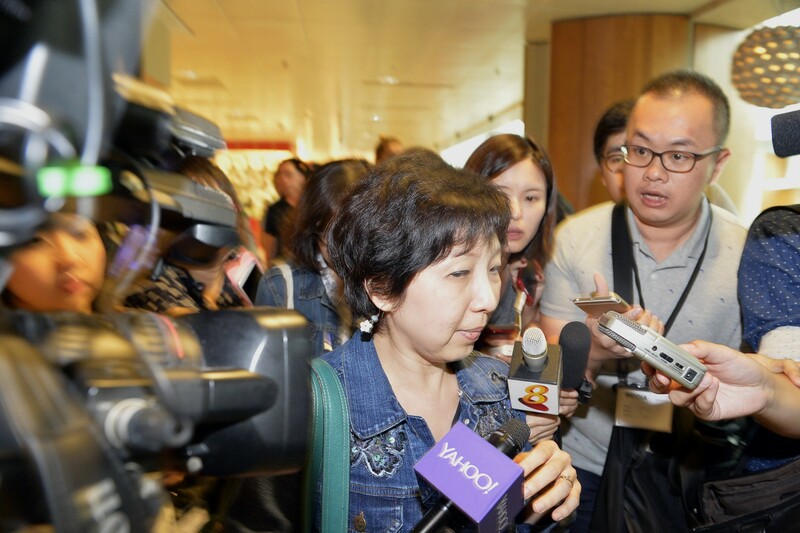 Deputy Prime Minister Teo Chee Hean visited the passengers' families at a centre set up at Changi Airport Terminal 2 to provide assistance to them. 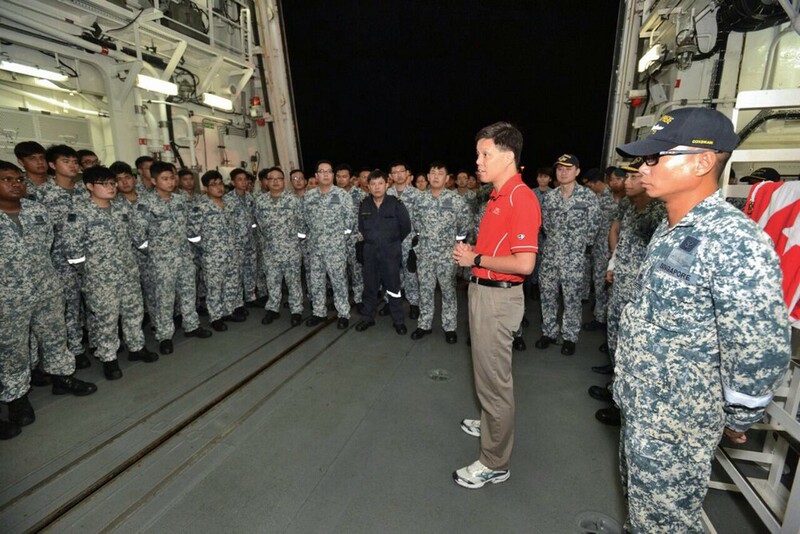 "I assured them that we will continue to update and assist them. 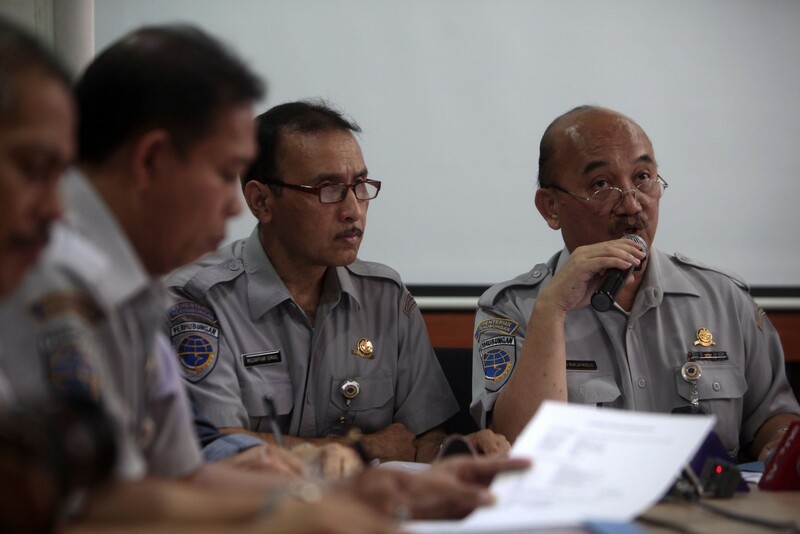 I also spoke to my Indonesian counterpart Menko Tedjo to ask him to let us know if there is anything more that we can do to help in the search," Mr Teo said, referring to Indonesia's Coordinating Political, Legal and Security Affairs Minister Tedjo Edhy Purdijatno. 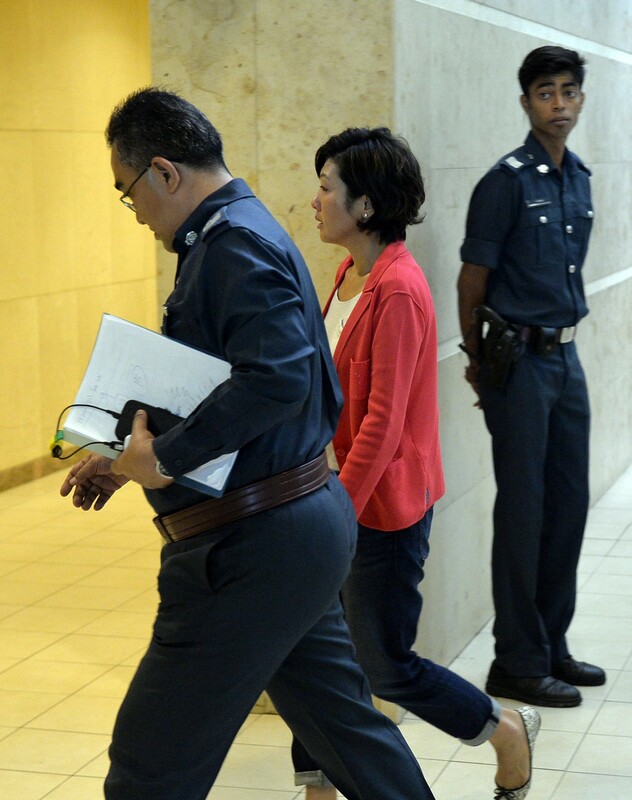 Post by Teo Chee Hean. 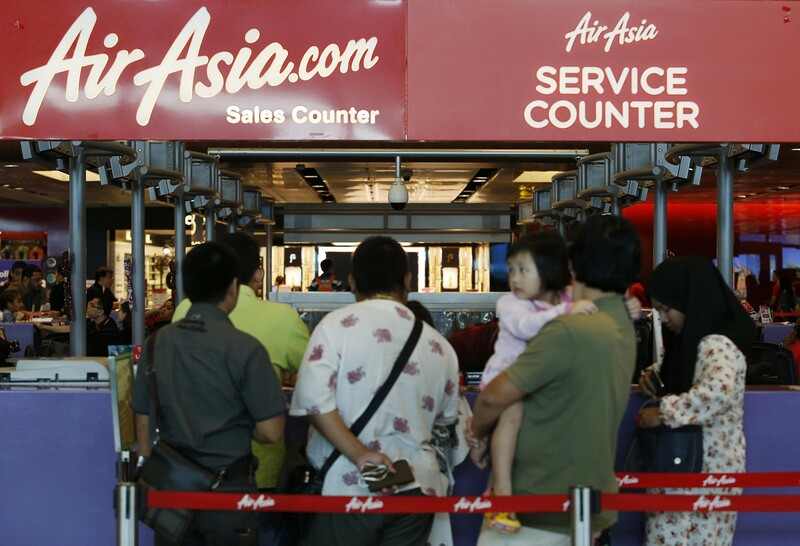 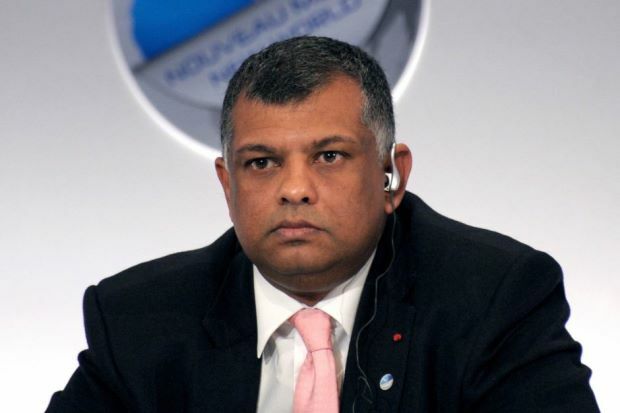 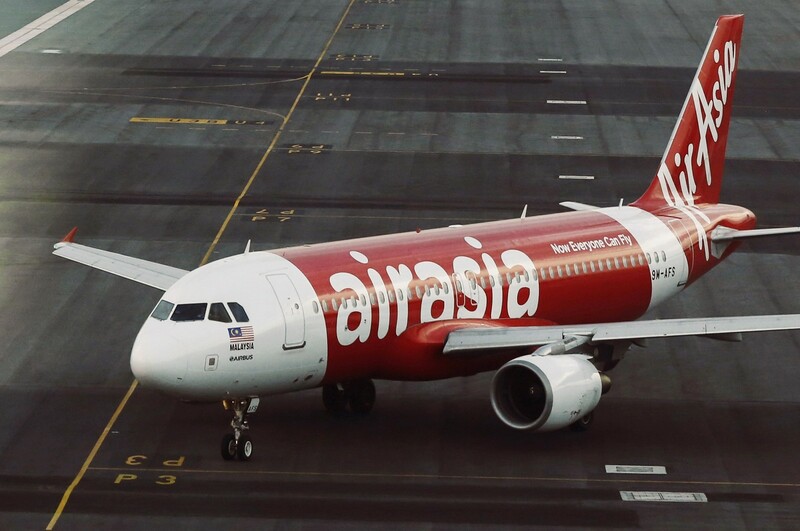 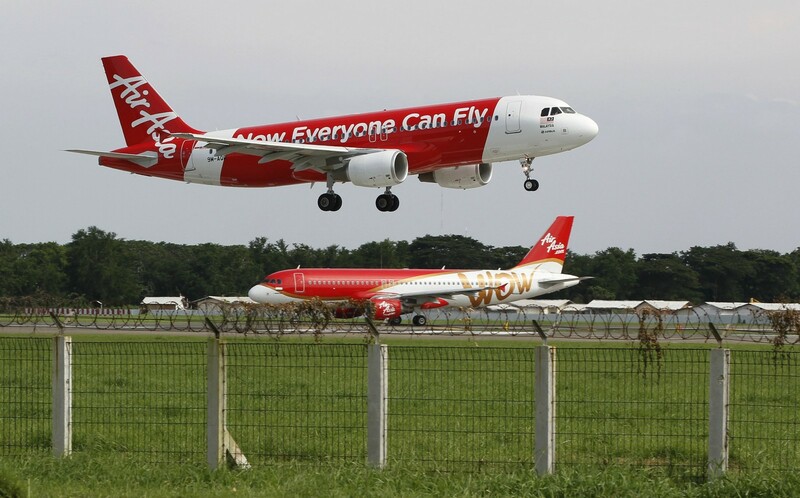 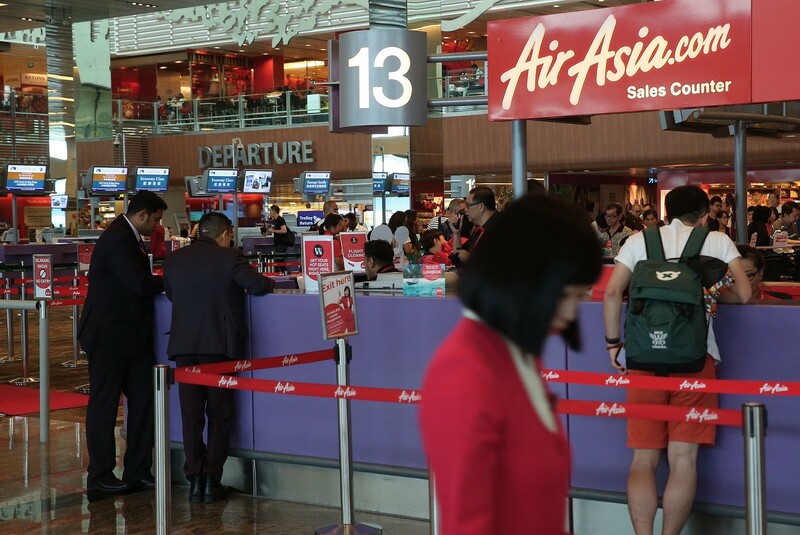 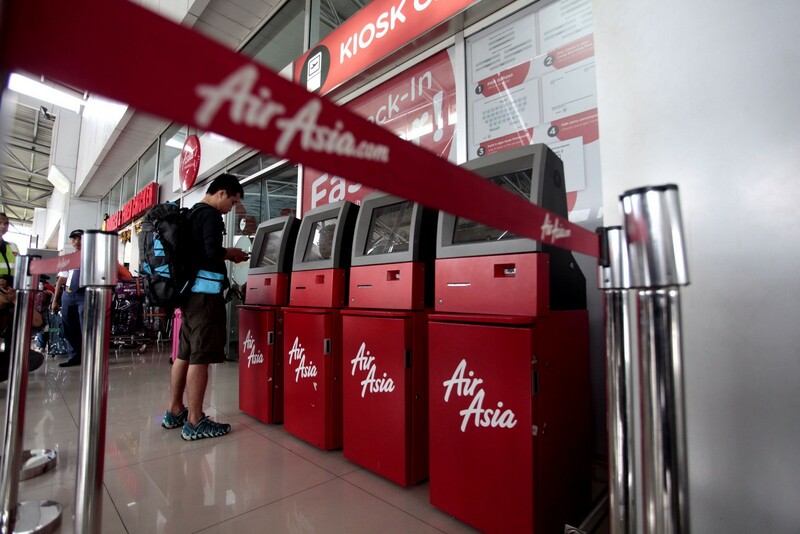 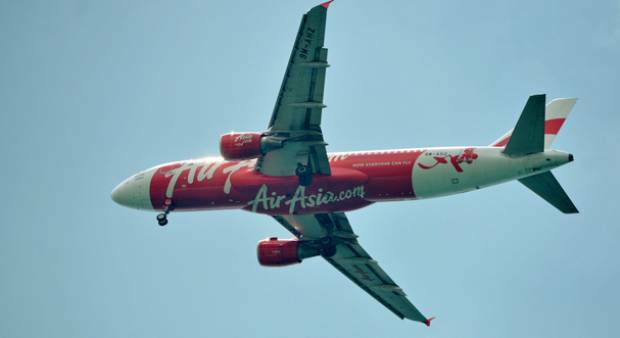 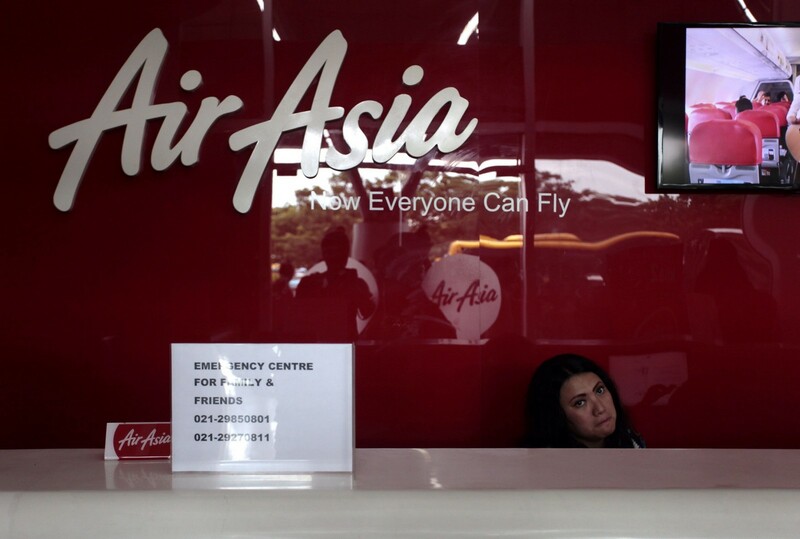 The Civil Aviation Authority of Singapore (CAAS) and Changi Airport Group Crisis Management Centres have been activated and are working with AirAsia's crisis management team. 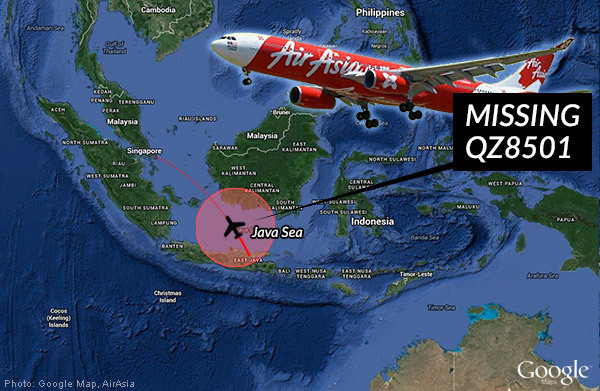 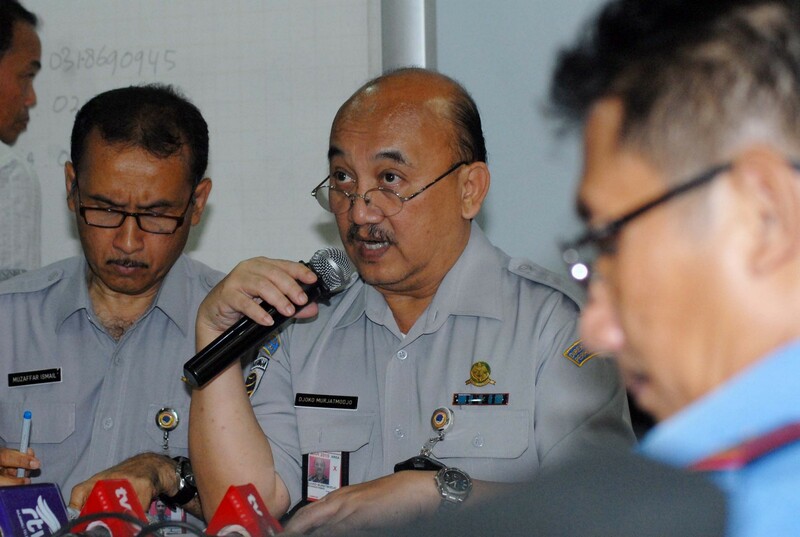 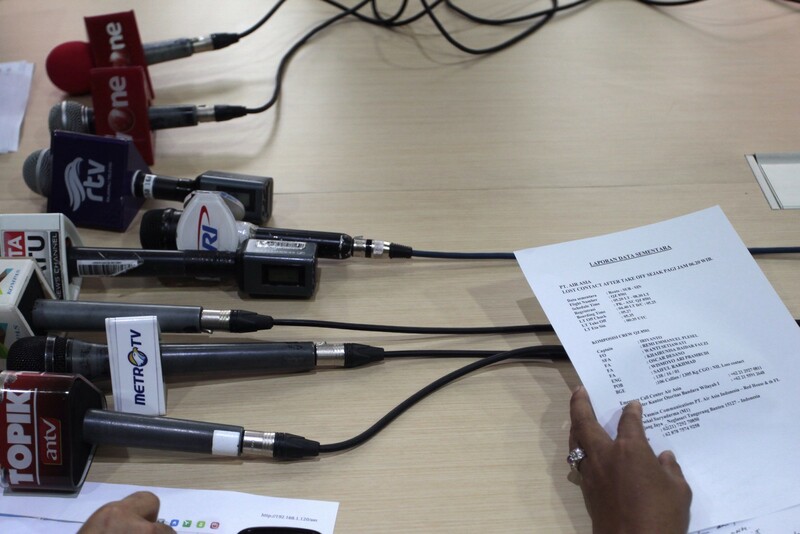 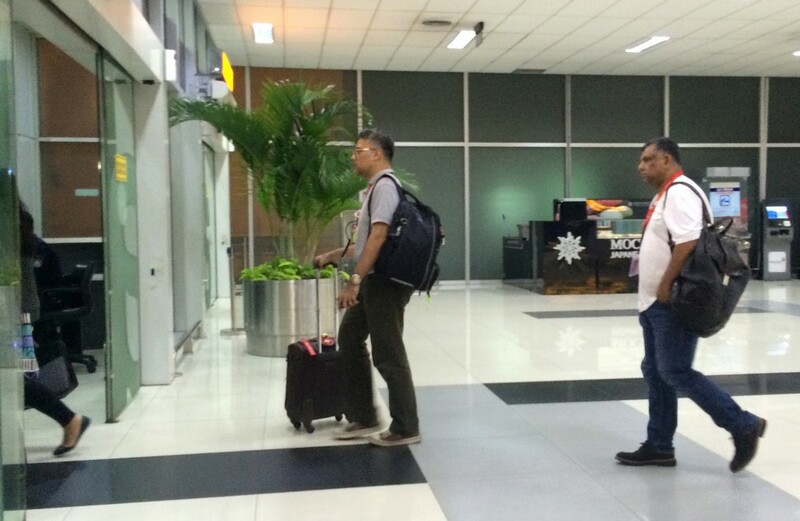 CAAS will send an officer to the Indonesian Search and Rescue Agency in Jakarta to assist in the coordination with the Indonesian authorities on the search operations. 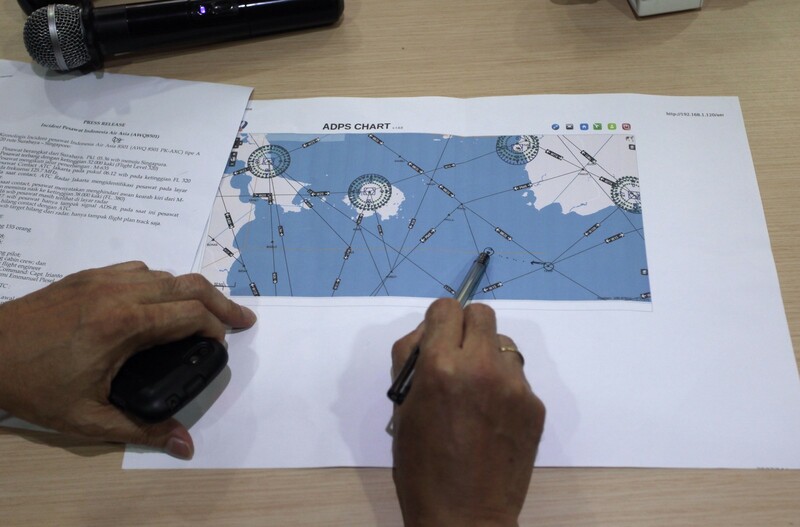 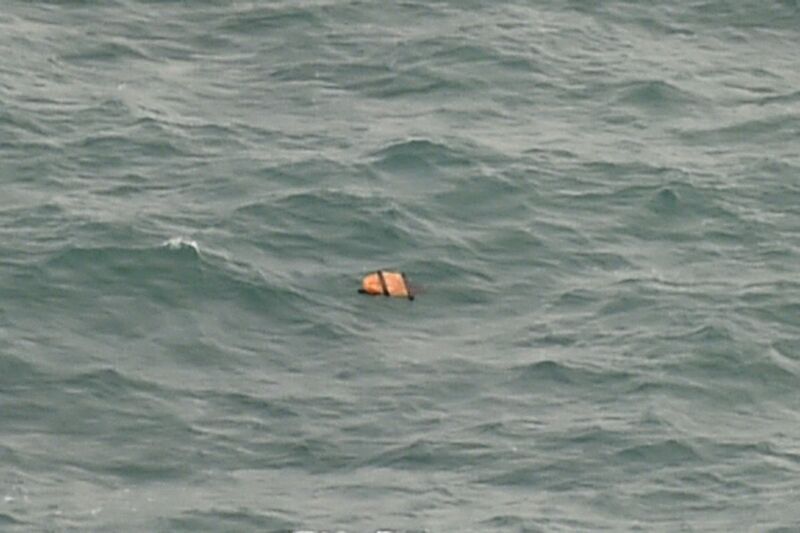 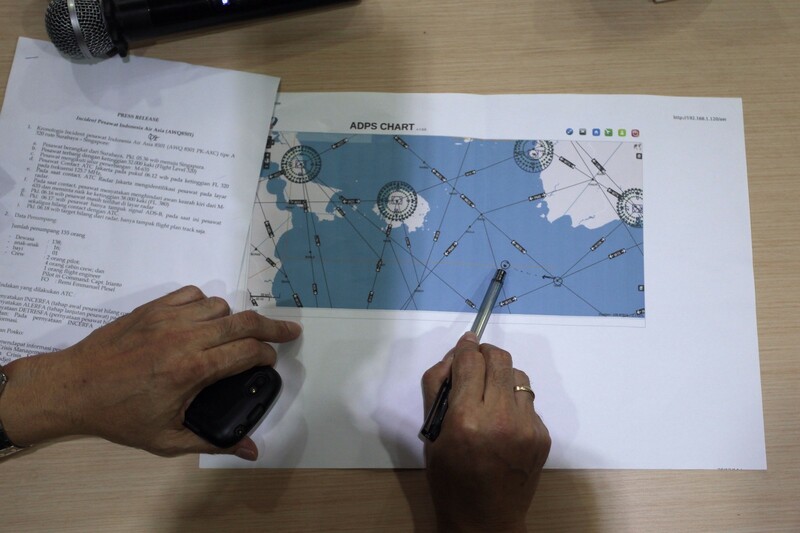 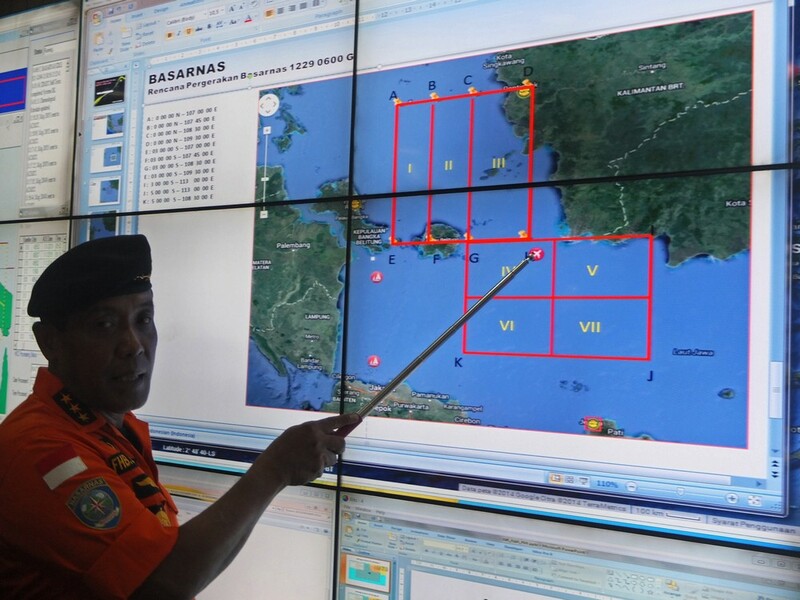 The Transport Ministry has also offered two teams of specialists and two sets of underwater locator beacon detectors to assist Indonesia in the search. 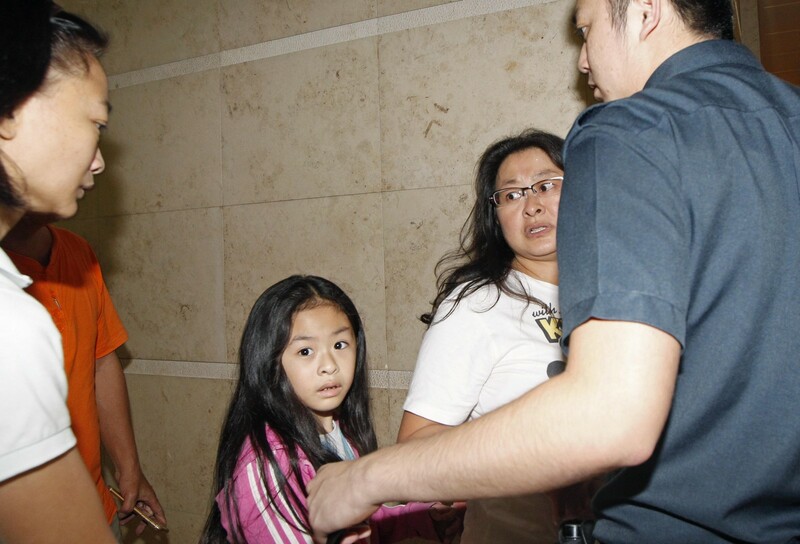 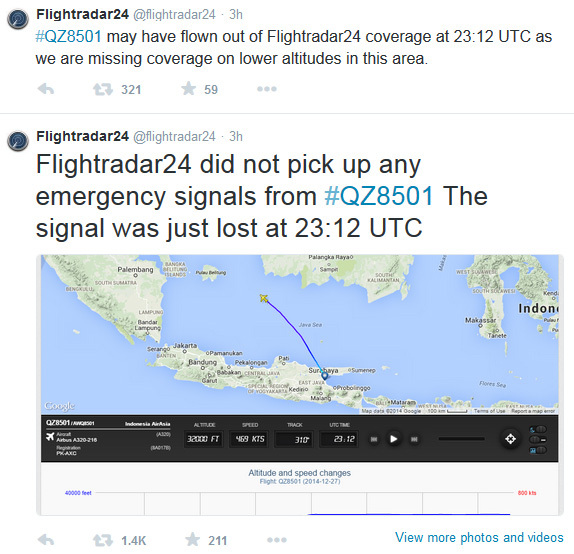 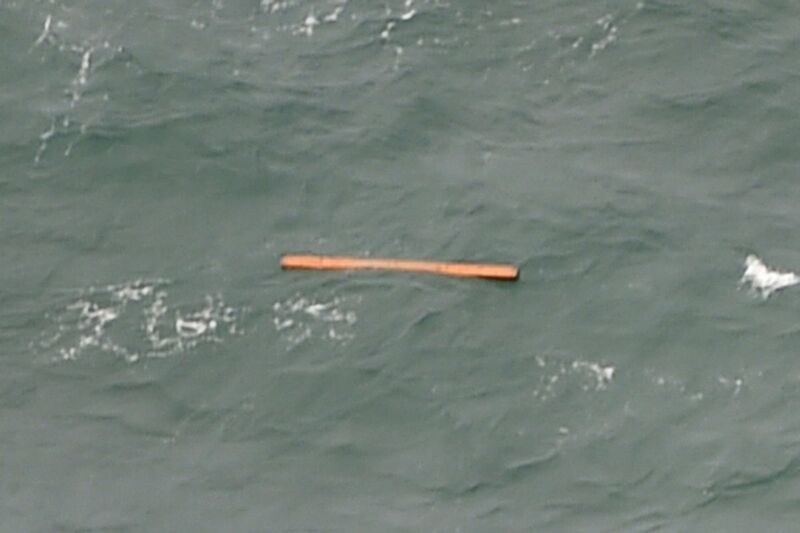 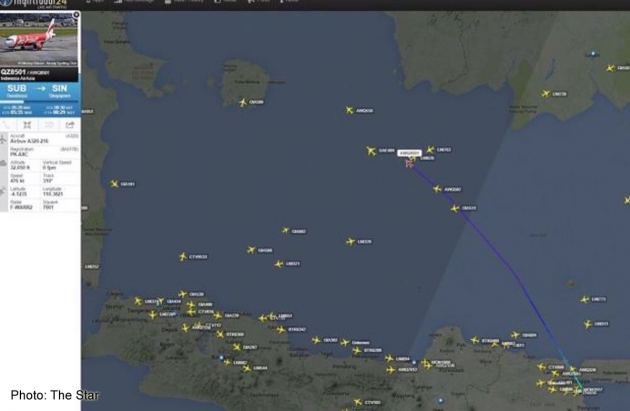 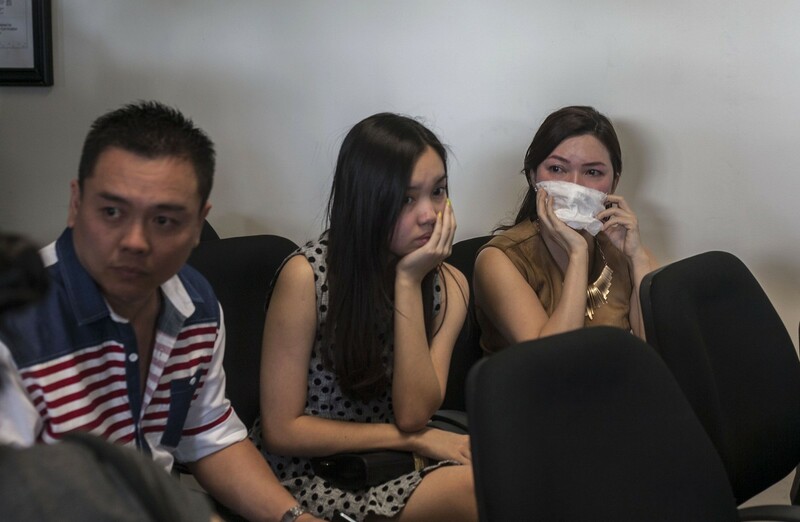 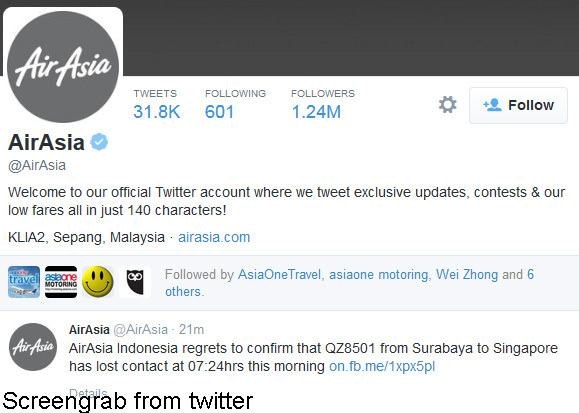 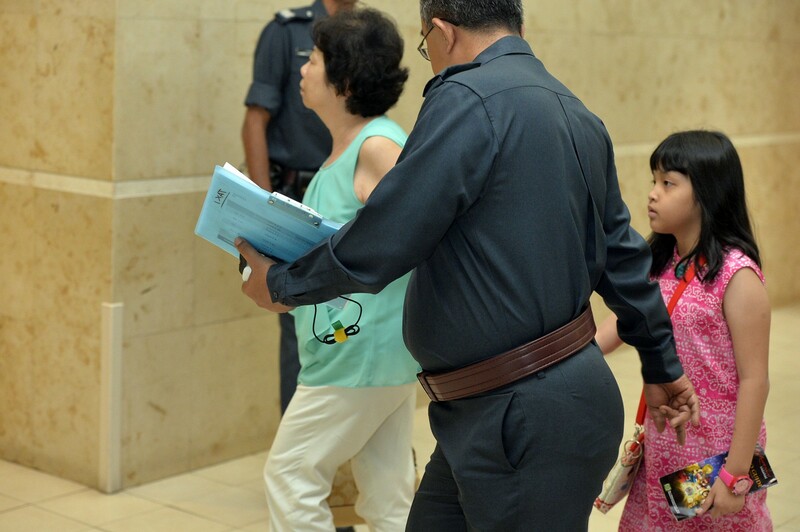 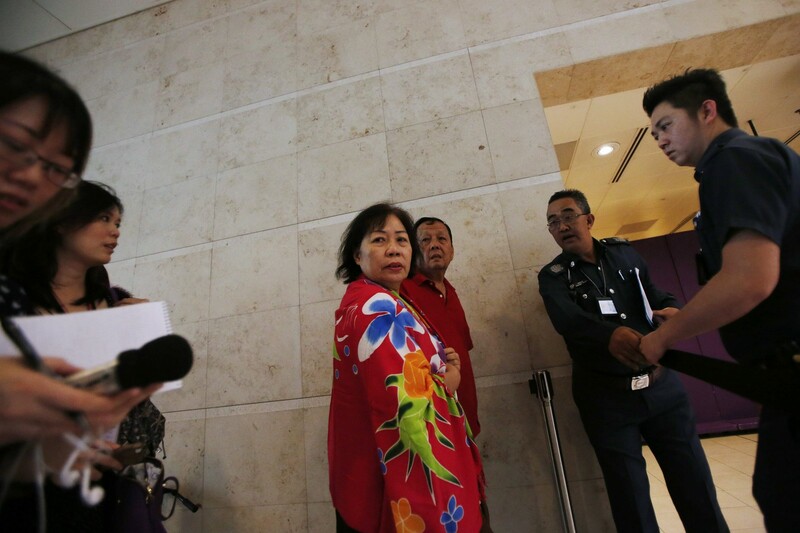 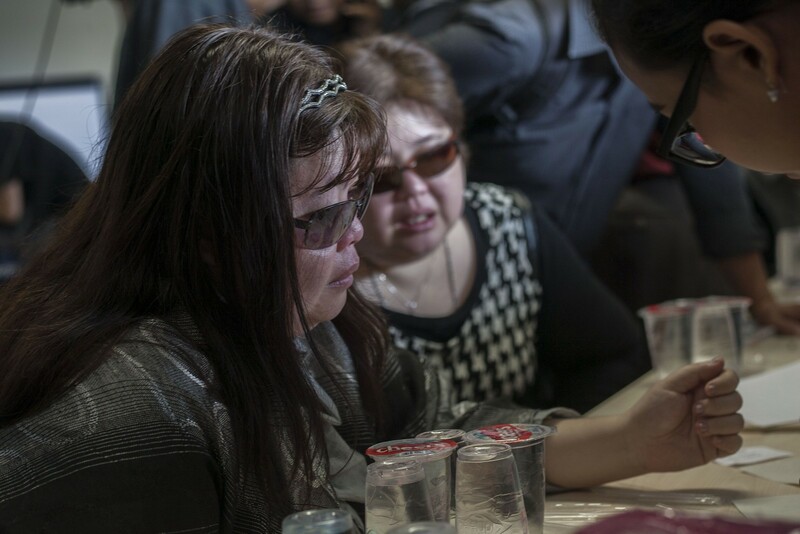 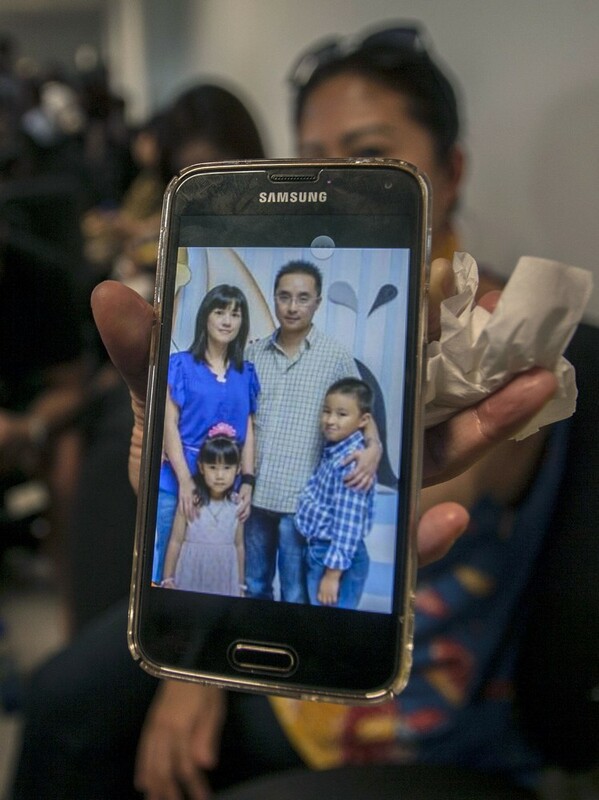 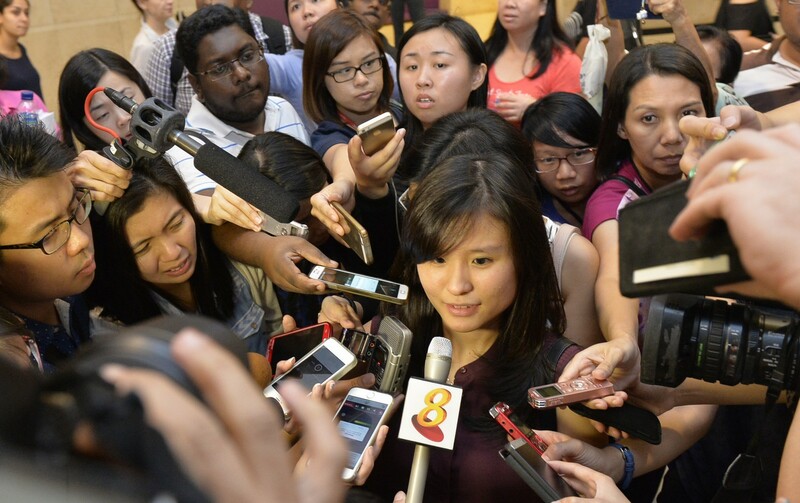 One Singaporean was on board the missing flight. 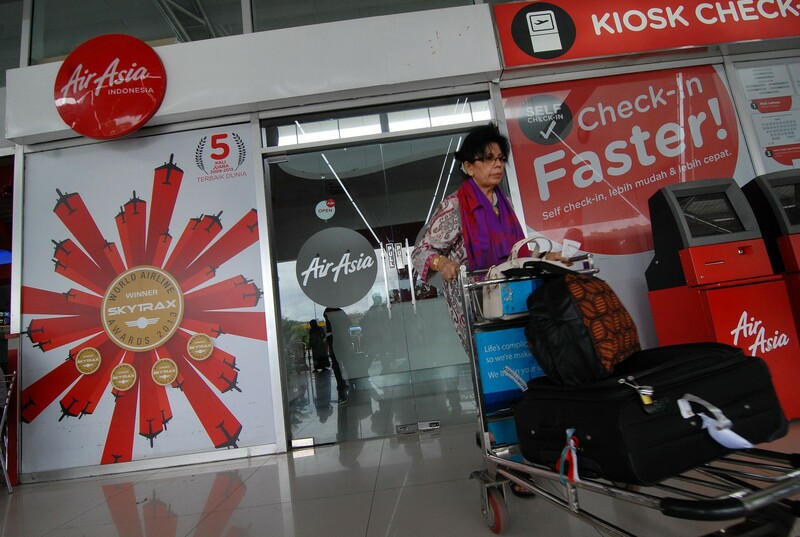 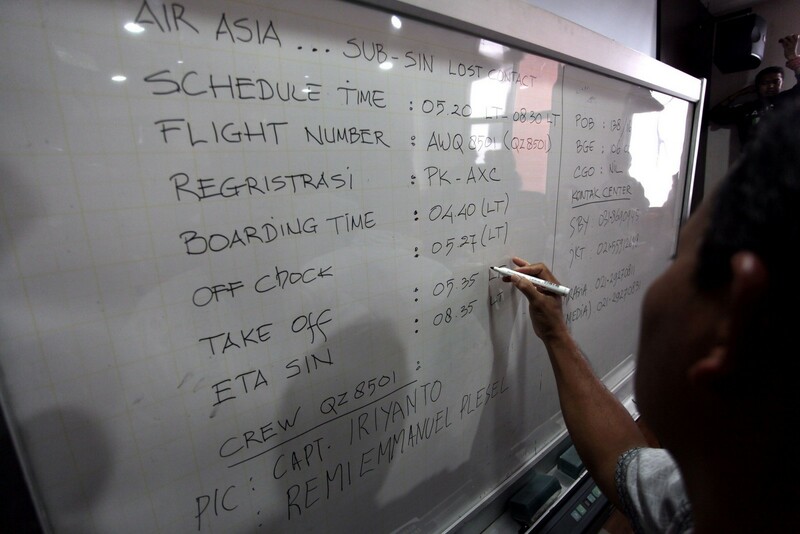 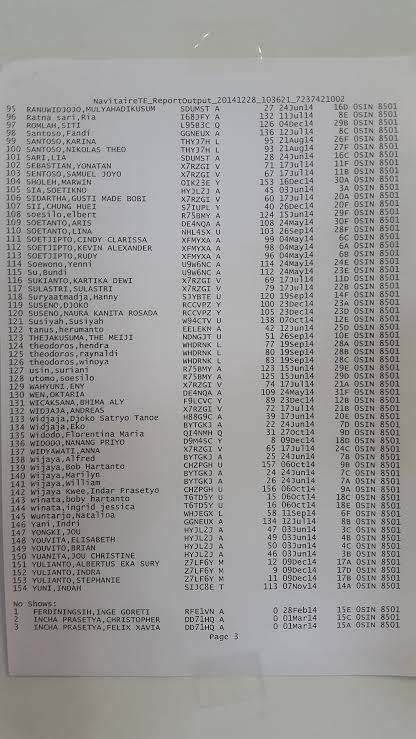 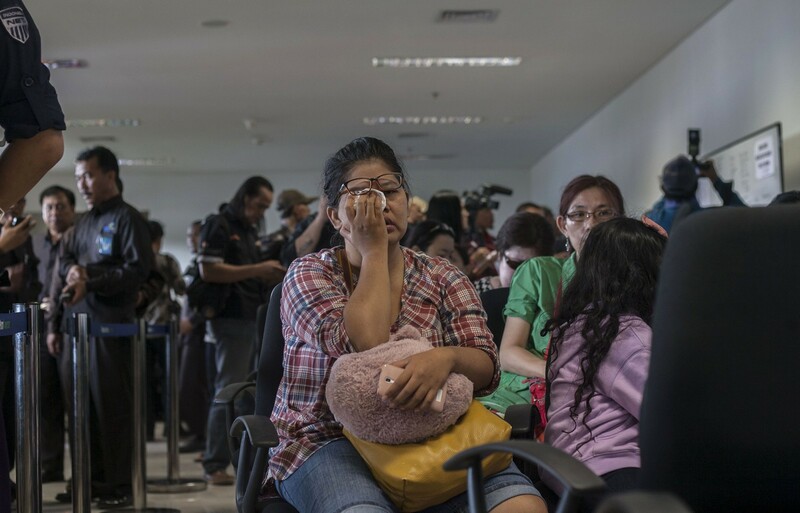 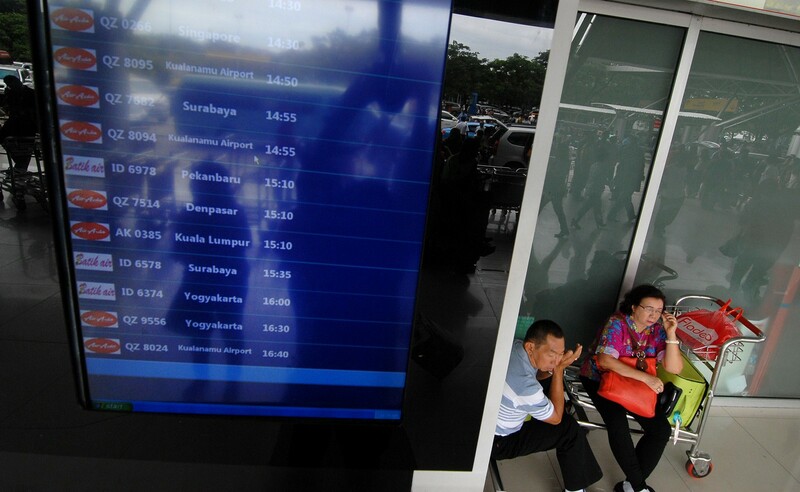 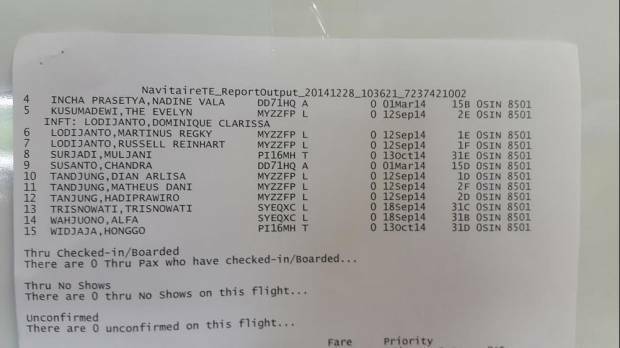 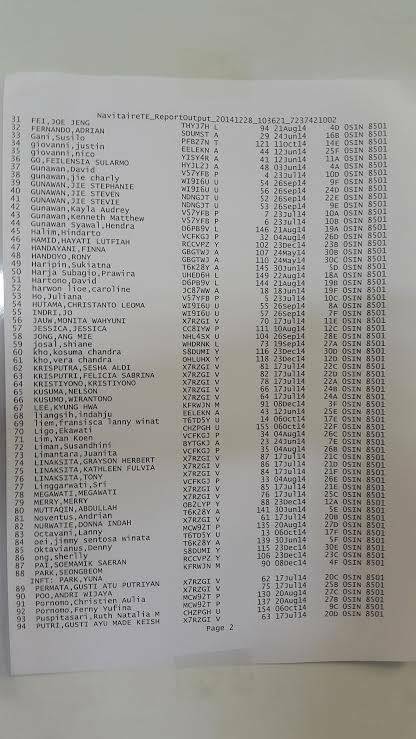 The majority of the 162 passengers and crew members were Indonesians. 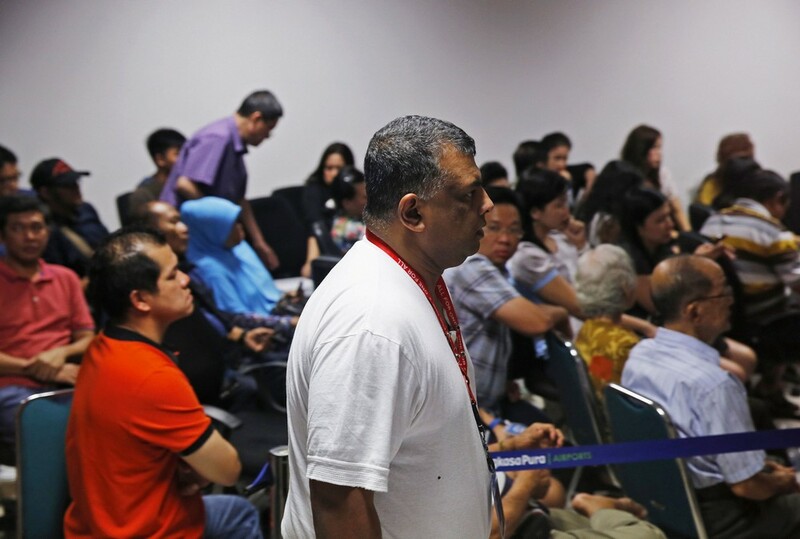 Minister for Law and Foreign Affairs K. Shanmugam said: "I can understand the anxiety facing the families of those passengers on board. 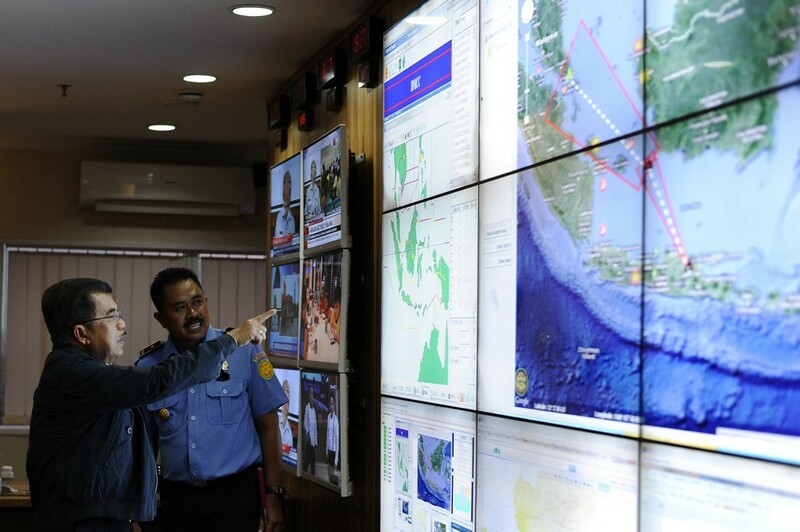 I have just spoken to Indonesia's Foreign Minister Retno Marsudi on the situation." 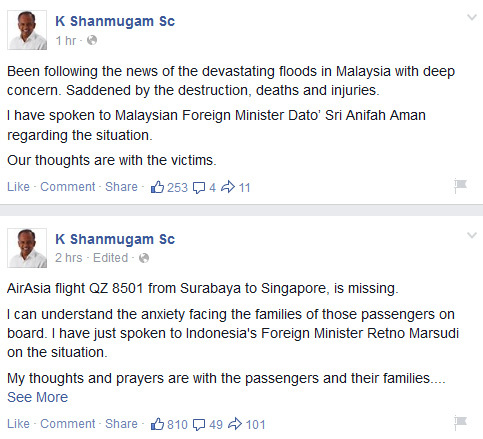 Post by K Shanmugam Sc. 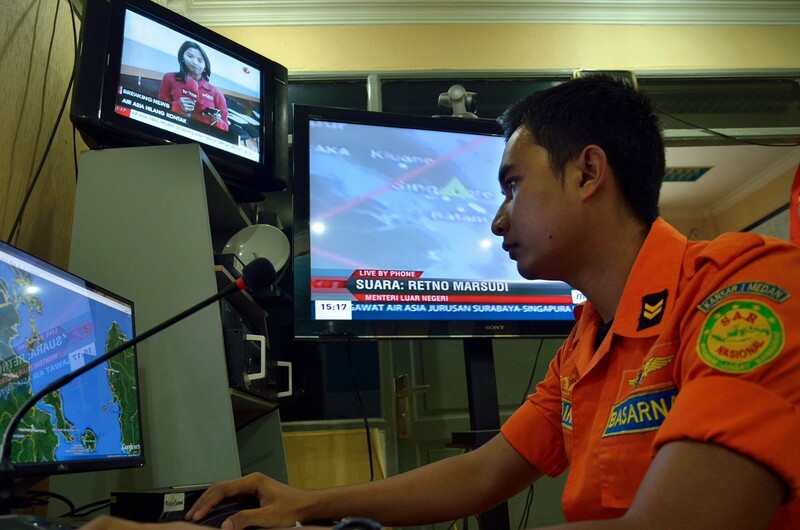 The Singapore Rescue Coordination Centre, managed by the CAAS and supported by various agencies including the Republic of Singapore Air Force and the Republic of Singapore Navy, offered help to the Indonesian Search and Rescue Agency at 9.30am yesterday. 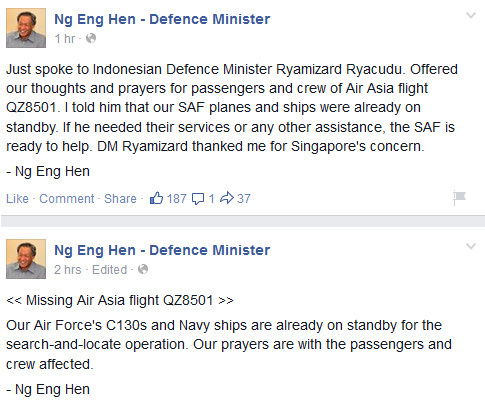 Defence Minister Ng Eng Hen said that aside from the C-130 planes, Singapore's ships are also on standby. 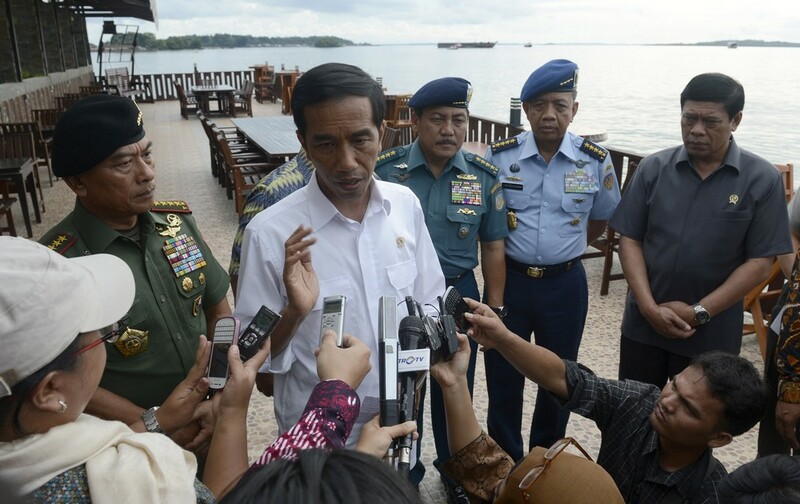 "I told Indonesian Defence Minister Ryamizard Ryacudu that our Singapore Armed Forces planes and ships were already on standby if he needed their services or any other assistance," he said. 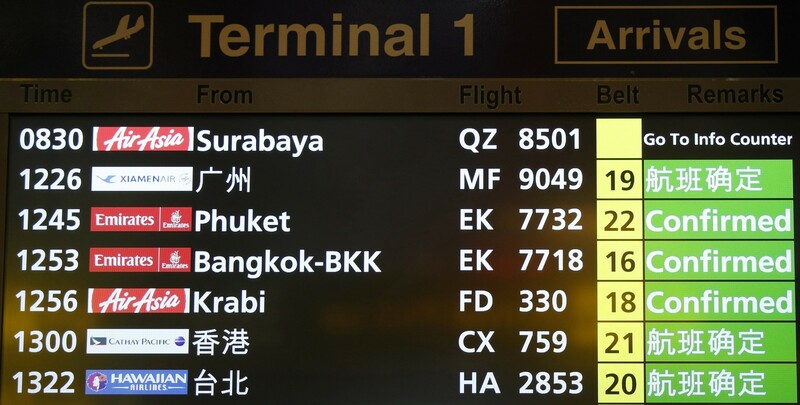 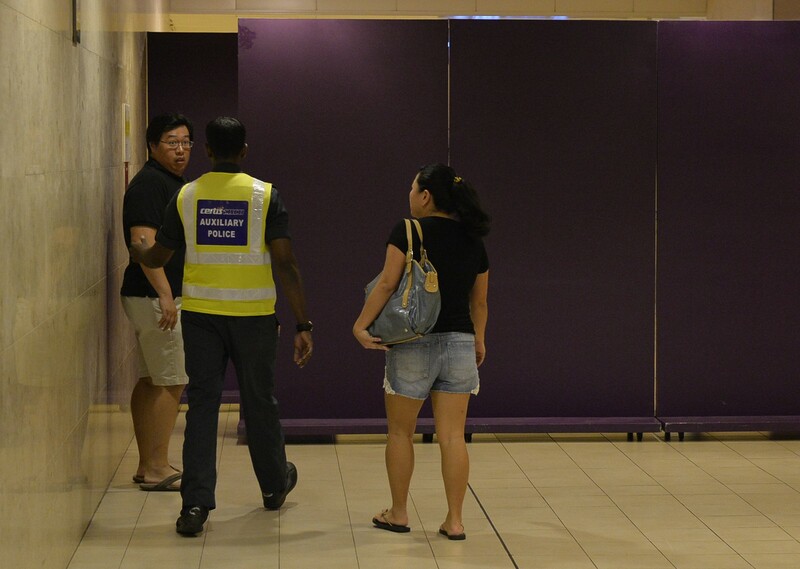 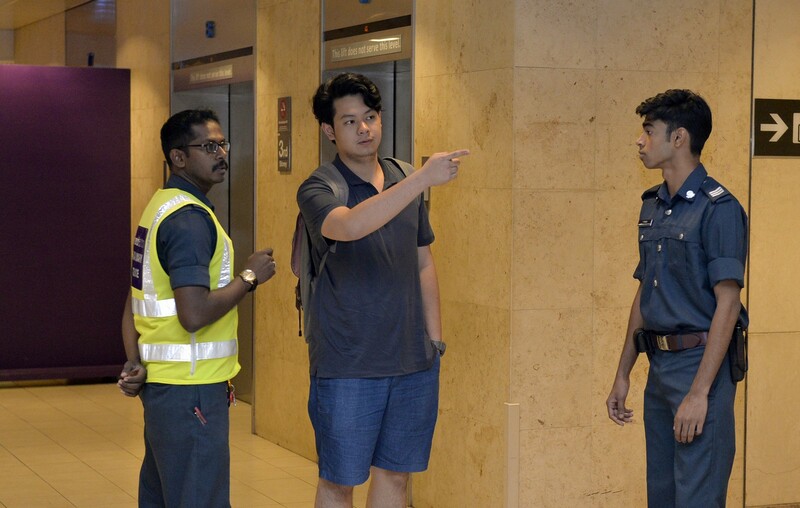 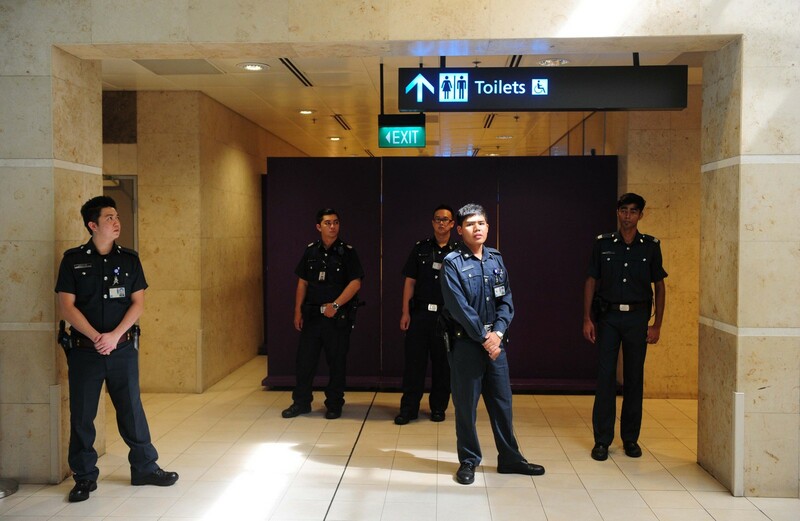 Transport Minister Lui Tuck Yew added that Singapore's relevant agencies have been activated "and are ready to provide assistance at short notice". 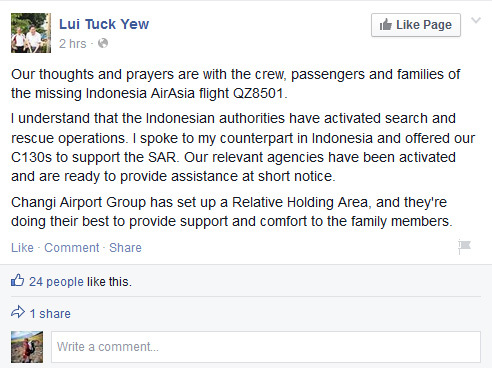 Post by Lui Tuck Yew. 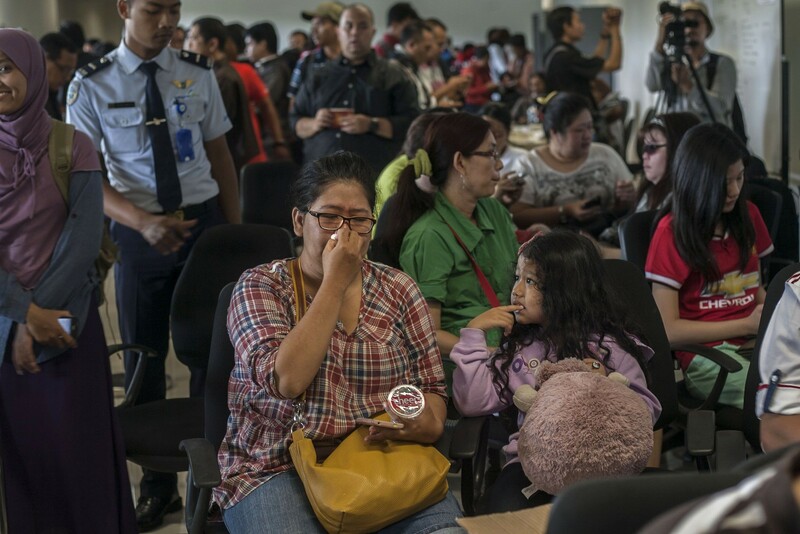 "Let us continue to keep our thoughts and prayers for the crew, passengers and families of (those on) the missing plane," he said. 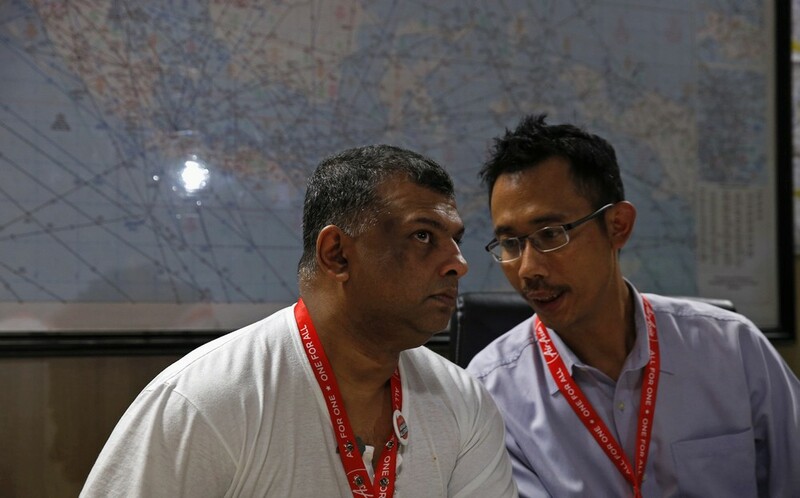 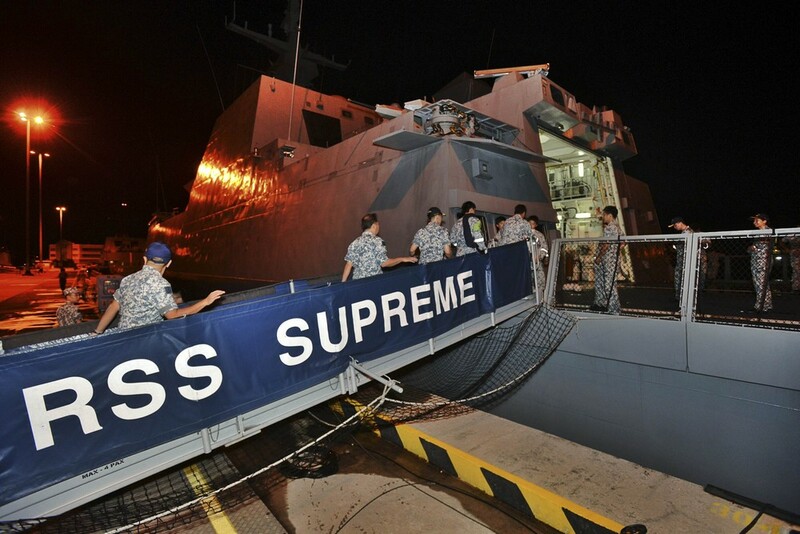 Singapore had also helped in the search for Malaysia Airlines Flight MH370. 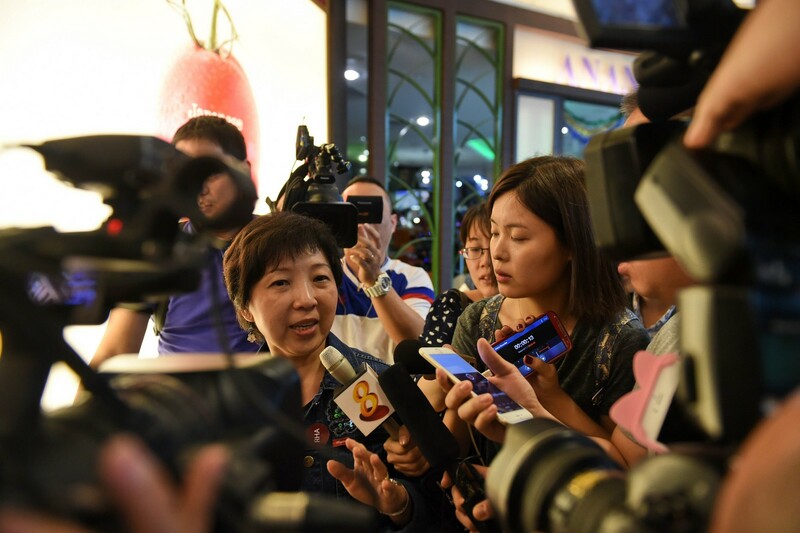 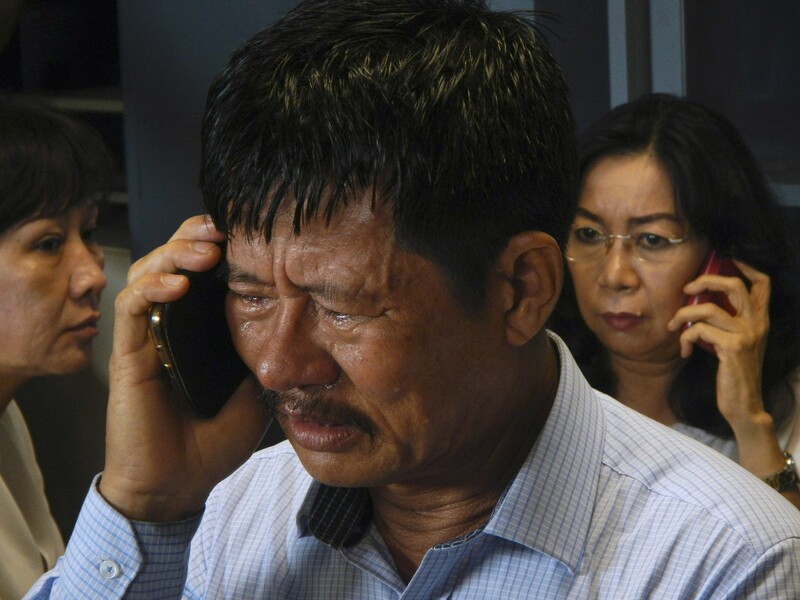 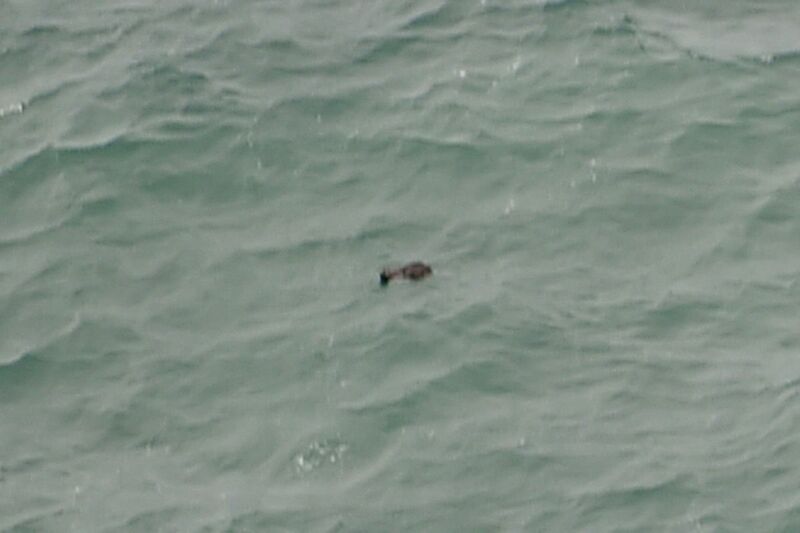 Several days after the disappearance, Singapore deployed two military transport planes, a naval helicopter, two warships and a submarine support-and-rescue vessel. 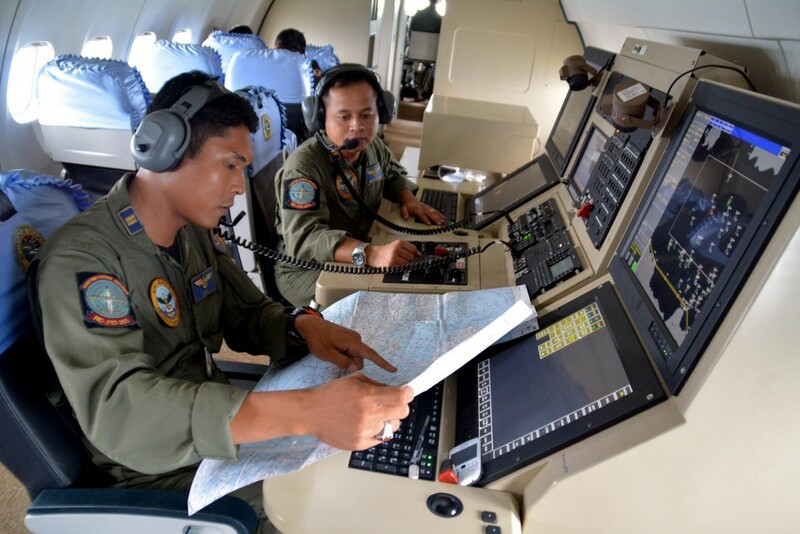 These excluded the first C-130 aircraft, which had returned by that point. 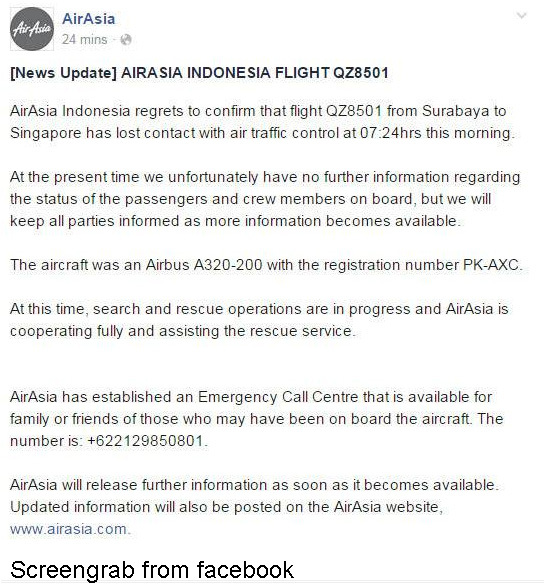 "Our thoughts are with the passengers and their families." 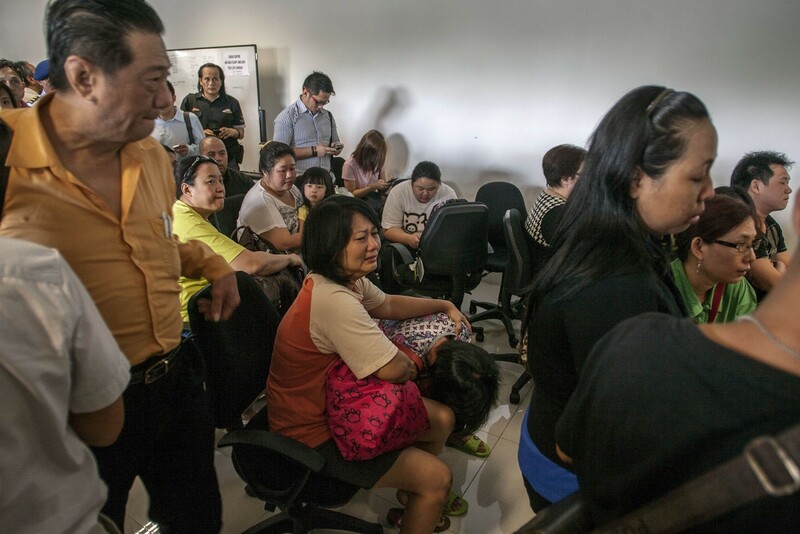 "I assured them that we will continue to update and assist them. 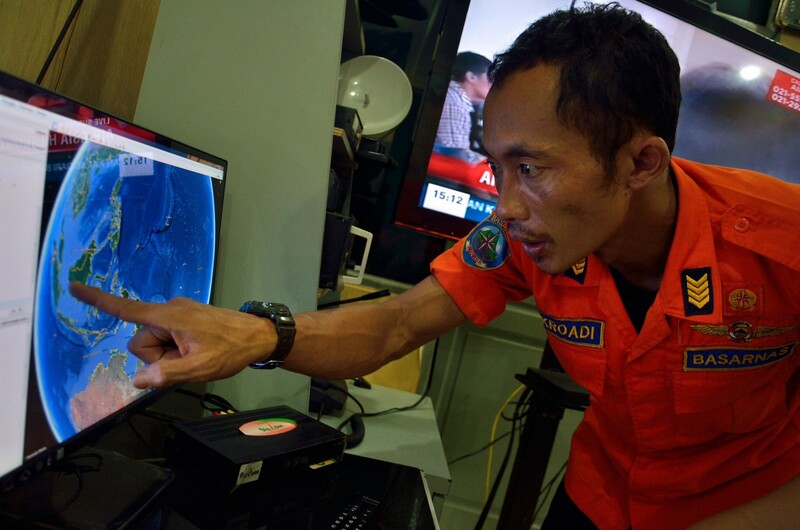 I also spoke to my Indonesian counterpart Menko Tedjo to ask him to let us know if there is anything more that we can do to help in the search."